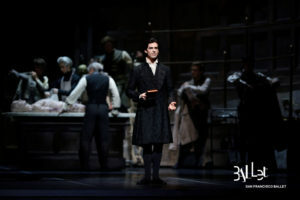 Joseph Walsh in Scarlett’s Frankenstein. 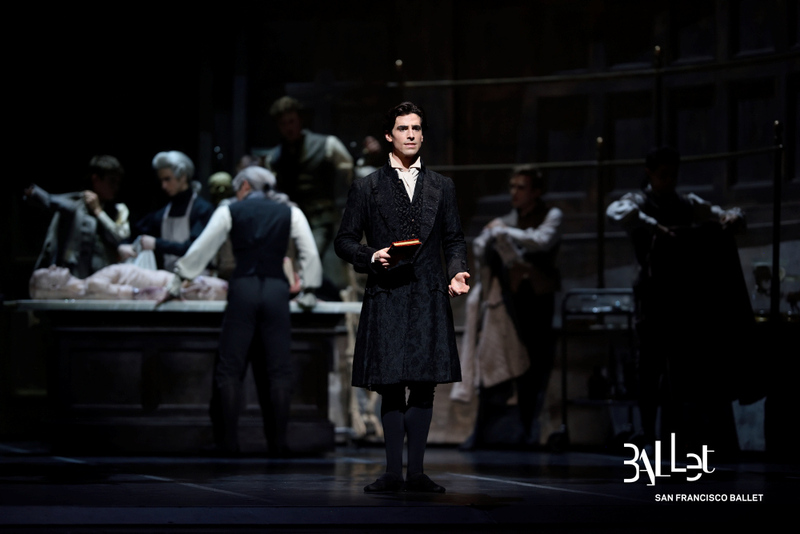 It was the perfect setting, weather-wise, for attending San Francisco Ballet’s Frankenstein last Saturday night, following Friday’s North American premiere of this co-commission with the Royal Ballet. Storm clouds scudded over the darkened February skies, recent rains abated, an uneasy truce between storms that you knew would not last. Frankenstein weather. Something big was about to happen. People tend to draw their Frankenstein acumen through one of two sources: the 1818 Gothic classic by Mary Shelley, or the 1931 movie adaptation (or, truth be told, through Mel Brooks’ Young Frankenstein). The latter group might not be aware of the love story the original contains, nor the chaos wreaked because of love withheld. Choreographer Liam Scarlett calls his production, “a story of betrayal, curiosity, life, death, and above all, love.” This is Scarlett’s first full-length ballet; at only thirty, creator of the acclaimed 2014 Hummingbird, among others, he’s currently the Royal Ballet’s artist in residence. Employing the talents of John Macfarlane’s stage and costume design, David Finn’s lighting and Finn Ross’s projection design, this production is a feast for the eyes. One of the benefits of attending the second night of a production is seeing the second cast. They were brilliant, to the last. In addition to powerful performances from Max Cauthorn and Lauren Strongin, as Victor Frankenstein and Elizabeth Lavenza, and Taras Domitro as The Creature, Julia Rowe and Angelo Greco delivered memorably as well. 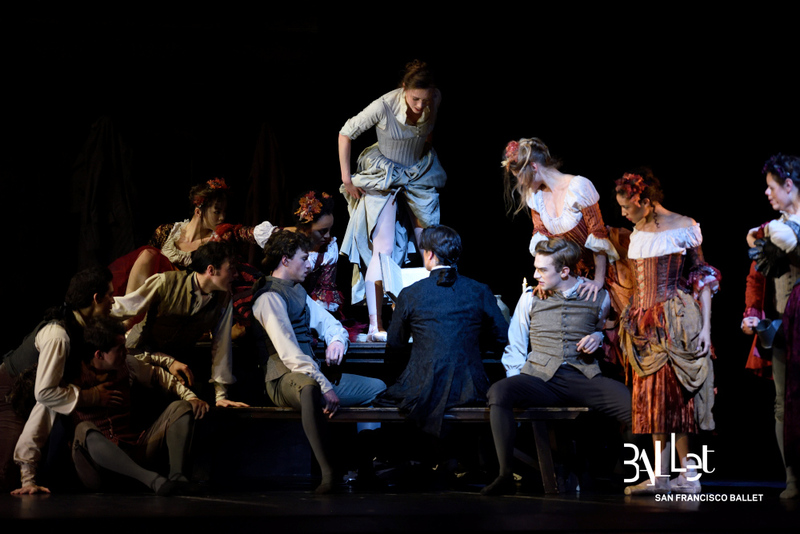 Act 1, set in late 18th century Geneva, allowed us to witness the metamorphosis of two young friends—Victor and the orphaned Elizabeth taken in by the Frankenstein family—who grow to fall in love. Cauthorn and Strongin paired wonderfully as young adults in love in a tender, lyrical pas de deux, replete with rapturous back arches, leaps, partnered turns that morphed into lifts. Both are dancing well beyond their rank—Cauthorn is in the corps and Strongin is a soloist—and surely promotions are imminent. (Please, Mr. Tomasson, promote Max Cauthorn now. Tonight. He’s earned it.) **Editor’s note on March 13th – Cauthorn’s promotion to soloist was just announced! Yippee! Big congrats, Max! As this story goes, the death of Victor’s mother in childbirth throws a pall over the household on the eve of Victor’s departure to medical school. There, at Ingolstadt University, the grieving Victor takes keen interest in his professor’s lectures on the possibility of reanimation. Macfarlane’s circular anatomy theater set is spectacular, period-specific, featuring an 18th century replicate electrostatic machine, with wires and tubes and such that emit staticky pops and snaps. One of the ballet’s structural problems reveals itself around this time. At close to three hours, the production runs long. The fifty-minute first act has five scenes (and a prologue). Although the story delivered up to this point preps the audience nicely for what is to come, it might prove overlong to those anxious for the “real” drama to begin. Instead, ensemble dancing within each scene often seems presented to assure plenty of “ballet” and not just pantomime exposition. That said, a medical students’ cavort was charming, and soon a quartet of solemn-faced nurses in long skirts joined them, assistants to the Professor (James Sofranko). It began to feel odd, though, within this academic, institutional setting. Some places, like churches, libraries, psych wards, don’t lend themselves aesthetically to ballet. The presence of a cadaver splayed out behind the dancers on an observation table likely didn’t help. And there is simply no way to watch someone dance with a dismembered limb or a brain in a jar without it seeming either creepy or hilarious, or a mix of both. Which may not have been the goal. But finally, after a tavern ensemble frolic, the long awaited moment: Victor’s return to the anatomy lab that stormy evening, his inspired efforts, the patched-together cadaver being raised to the skies as lightning flashes all around, the machine exploding in a pyrotechnic dazzle, accompanied by Lowell Lieberman’s wonderfully dramatic commissioned score. It was spectacular, operatic in its intensity. Taras Domitro, as The Creature brought to life, delivered an unforgettable performance. 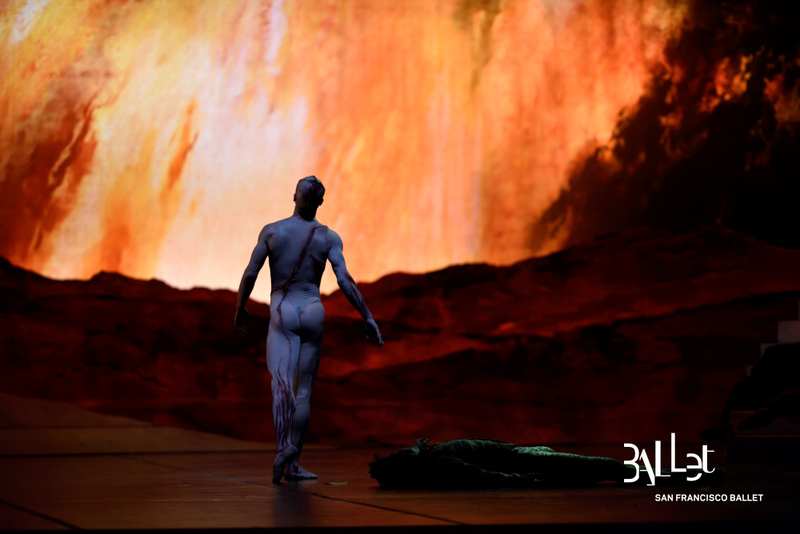 Costumed in an unearthly pale unitard with the to-be-expected stitches and gashes and blood speckles that worked brilliantly and showcased Domitro’s superb form and musculature, he brought a nuanced vulnerability to the role. You could almost love this Creature. You’re certainly stirred to pity at his plight, as Victor recoils in horror and rejects his creation. The Creature’s “other-ness” was cleverly depicted in quirks: little head rolls, cocking the head in a not-normal way. We, as the audience, get to follow his evolution. In the beginning, he can hardly walk, but learns by observation and imitation. By the final act, he has discovered how to effortlessly fit in to a crowd of waltzing revelers, employing a “blink and you’ve missed him” ninja presence that rattles Victor terribly, who continues to reject this horror he’s created. The power The Creature now holds is formidable—but what powers The Creature, in turn, is the childlike longing to be accepted, loved by his creator, to not be so alone. The story doesn’t end well, as you probably know (unless your reference is Young Frankenstein, which ends quite adorably). Victor’s attempts to block out his deed and The Creature fail. The Creature’s failed attempts at love and acceptance have curdled into maniacal rage. And yet, still the longing. In the final scene, Elizabeth’s sorrowful pas de deux with The Creature (who has learned to perfectly imitate Victor’s movements) is so poignantly danced by both, it breaks your heart to watch. So does the ensuing pas de deux between The Creature and Victor, desperate and grappling, overflowing with raw emotion. These two final pas de deux showcase Scarlett’s choreographic brilliance, and the dancers at their best. Utterly unforgettable. This entry was posted in Ballet and tagged Angelo Greco, Author of Outside the Limelight, Author of the Ballet Theatre Chronicles, Book by Mary Shelley, Dance reviews by Terez Rose, David Finn, elegant monster ballet, Elizabeth Lavenza, Finn Ross, Frankenstein, James Sofranko, John Macfarlane, Julia Rowe, Lauren Strongin, Liam Scarlett, Lowell Lieberman, Max Cauthorn, Max Cauthorn promoted to soloist, News and reviews, North American premiere of this co-commission with the Royal Ballet, Review of Frankenstein, San Francisco Ballet, Taras Domitro., Terez Mertes Rose, Victor Frankenstein romance on February 22, 2017 by admin. Is Rachmaninov’s Piano Concerto No. 2 lowbrow? Sergei Rachmaninov’s Piano Concerto No. 2, Op 18 is the kind of music that grips you by the collar and draws you into its world instantly, with its rich orchestral textures and dramatic fervor. I’ve loved it for years. Decades. Last weekend I attended the San Francisco Ballet’s Program 1, and was dazzled by the program’s second ballet, Jiri Bubeníček’s “Fragile Vessels,” set to—you guessed it—Rachmaninov’s Piano Concerto No. 2. Thoughts vary about Rachmaninov’s Late Romantic music, produced during an era that had begun testing its boundaries (think Mahler) or breaking them entirely (think Schoenberg and his atonality, his twelve-tone technique). Rachmaninov wanted nothing to do with that. He saw himself as “the last of the Romantics” who reflected the philosophy of Old Russia “with its overtones of suffering and unrest, its pastoral but tragic beauty, its ancient and enduring glory.” Many classical music purists today consider Rachmaninov’s music to be excessively sentimental, admittedly lush but too similar-sounding once you’ve heard one concerto. The tremendous popularity of his Piano Concerto No. 2, in fact, seems to argue their case that it’s, perhaps, a bit lowbrow for classical tastes. Is Rachmaninov’s Piano Concerto No. 2 lowbrow? Certainly it’s extremely accessible to non-classical music lovers. 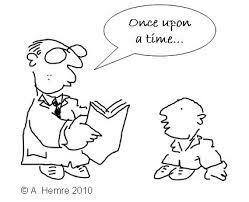 It’s appeared in pop culture through movies, plays and songs throughout the 20th century. I myself was only nineteen when I fell wildly in love with it. The music so aptly described all those larger-than-life feelings and emotions exploding within me. I ate it up, right alongside Rimsky-Korsakov’s Scheherazade and Dvorák’s New World Symphony. In an era of LP and cassette tape music, those were three of the dozen cassette recordings I listened to incessantly. The latter two, I can’t bear to listen to anymore; they are now definitely “pop classical” to me, which nonetheless constantly fills the concert halls. But Rachmaninov’s Piano Concerto No. 2 is different. Thirty-five years after I first heard it, I’m fascinated by its complexity and colors, its harmonic richness, its passion coupled with aching nostalgia. 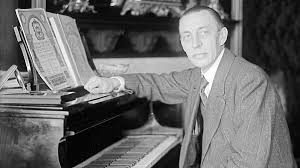 I did a little digging around to find out more about Rachmaninov (and BTW, his name can be spelled with a “v” at the end or an “ff” – both are an acceptable translation from Cyrillic) before I set off to write this blog. Otherwise, how to explain why I liked this concerto so much? Did I even know why? Music with this kind of emotional depth tends to have a story behind it. 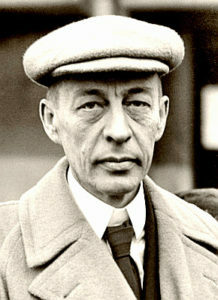 Rachmaninov (1873 – 1943), I learned, had been born into a noble family in Russia which owned numerous estates. While both parents enjoyed the piano, they didn’t see that as a potential career for the six-year-old Sergei who was already showing extraordinary aptitude for the instrument. (Ironically, they deemed it too lowbrow.) But the family had other problems. Dad enjoyed the high life, improvidently so, and the family fortune was slowly whittled away to one last estate, Oneg, in northwestern Russia, where Sergei spent his earliest years. Soon that, too, had to be sold to cover debts, and in 1882 the family moved into an apartment in St. Petersburg. Sergei was admitted to the St. Petersburg Conservatory, but it was a poor fit and he was not an easy, compliant student. Nor a good one, as family troubles continued. In 1883 his sister died of diphtheria. In 1884, his parents separated. The next year, on the advice of a musician cousin, his mother shipped Sergei off to the Moscow Conservatory, to a regimented household where he continued his studies. There, he lived a strict life with Nikolai Zverev, his teacher, and two other students, which, in the end, served him well. It had perks, too; during this time he met and interacted with musicians, artists, and notably, Tchaikovsky, who became a mentor of sorts and helped get him into an advanced counterpoint class. Buoyed by his success in the ensuing years, and his interest in compositions, Sergei told Zverev he wished to pursue composition, and could he please have more private space in the house? Zverev, who only saw the young Sergei as a pianist—although a prodigiously good one—told him something like, “Don’t be a fool. You’re a pianist, not a composer. Know your place. And get back into that room with the two other boys.” Unfortunately, this spelled the end of their relationship. Sergei moved out and into the home of a nearby relative, and continued on with his studies. (Zverev would not speak to him for the next three years.) He continued to excel, finishing his studies early, composing and performing his First Piano Concerto. For his final examinations, he won the Conservatory’s ultra-prestigious Gold Medal for his composition of a one-act opera, “Aleko.” Even old Zverev became tearfully proud of him, all ill feelings forgotten. Here’s the thing. 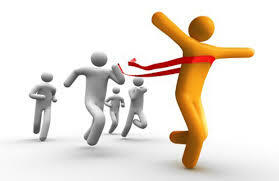 Young success, extraordinary success, is a mixed blessing. Rachmaninov was flying high, beloved for not just his composition talents, his virtuoso playing, but now, it turned out, he was a great conductor. How great was that?! There was no place for him to go, but up, up, up! So, post-graduation, he proceeded forward, writing small pieces that people loved (they were crazy about his Prelude in C-sharp minor, written when he was nineteen; it drew international acclaim), concertizing in ways people loved (everywhere, audiences begged for an encore of the Prelude in C-sharp minor – it got kind of annoying). He set his sights on bigger things, and devoted considerable time to composing his Symphony No. 1 in D-minor. This, then, he decided, would be his grand entrance into The Really Big League, right up there with Tchaikovsky and Rimsky-Korsakov. He was ready. Well, I think you can guess what happened. The premiere of his Symphony No. 1 in D-minor was a total disaster. Not just the music was at fault; an incompetent (and possibly drunk) Glazunov took the podium as conductor and did a wretched job leading the under-rehearsed orchestra. Further, Glazunov had made his own cuts in the score, and several changes in the orchestration, none of which made sense musically. Rachmaninov, sitting in the audience, helpless, was in agony. He couldn’t even listen to it; he fled the concert hall. The poor reception, and Rachmaninov’s own destroyed faith in his abilities, sent him into a deep depression, a dark, creative-less funk. Perhaps, he mused bitterly, composing wasn’t meant for him, after all. And so, for three years, he wrote nothing, composed nothing. He continued to receive invitations to perform as a pianist—because, remember, he was an extraordinary soloist. His strengths and good reputation as a conductor also earned him work, which helped him get by. But only when, with encouragement from family, he sought out the services of psychologist Dr. Nikolai Dahl, who used hypnotherapy in his practice, did he climb out of that dark place. And it was in this reborn creative space that he composed his Piano Concerto No. 2 (which he dedicated to Dahl). Its premiere, on Nov 9, 1901, was a hit. So. To those who claim Rachmaninov is overly sentimental, too dramatic, even lowbrow? Oh, dear reader, I will have to differ. This composition came from a place of incredible substance. No wonder I hear passion, despair, hope rising, triumphant vindication in the music. No wonder I’ve never tired of hearing this wonderful piece of music, in thirty-five years. And you’re still not tired of clicking on links and hearing about Rachmaninov’s music, you can read my blog, “Madness, SHINE and the Rach 3” HERE. This entry was posted in Classical Music and tagged ”, 10 classical music tunes for Halloween, César Cui music critic, Dr. Nikolai Dahl, Dvorák’s New World Symphony, Easy listening classical music, good classical music for non classical music listeners, Jiri Bubeníček’s “Fragile Vessels, Late Romantic composers, Moscow Conservatory, Nikolai Zverev, Piano Concerto No. 2, popular classical music, Rachmaninov, Rachmaninov cured with hypnotherapy, Rachmaninov Prelude in C-sharp minor, Rimsky-Korsakov’s Scheherazade, Romantic classical music, San Francisco Ballet perform to Rachmaninov Piano Concerto No. 2, St. Petersburg Conservatory, Tchaikovsky and Rachmaninov, The Isle of the Dead, Yuja Wang on February 11, 2017 by admin.